(April 23, 2013 – Aurora, IL) – Feld Motor Sports®, producers of Advance Auto Parts Monster Jam®, have announced the Monster Jam truck line up for the return of its Advance Auto Parts Monster Jam Path of DestructionSM summer stadium events to M&T Bank Stadium in Baltimore, MD (June 8) and MetLife Stadium in East Rutherford, NJ (June 15). Scheduled to compete at both stadiums are Grave Digger®, Max-DSM, Advance Auto Parts Grinder SM, Monster Energy, Lucas Oil Crusader SM, Son-uva Digger®, Grave Digger The Legend®, Monster MuttSM Dalmatian, El Toro Loco® , Madusa®, Iron Man™, Mohawk Warrior®, and Team Hot Wheels® Firestorm®. 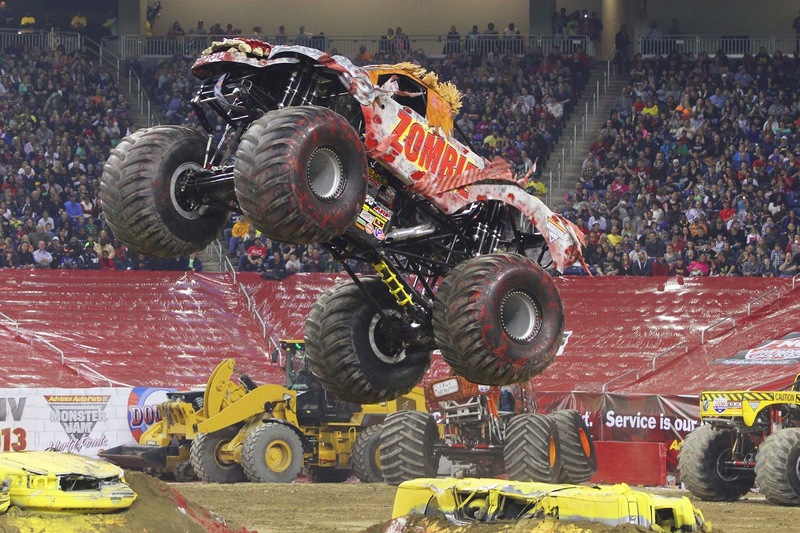 In addition to this stacked field of Monster Jam trucks, ZombieSM, El DiabloSM and Scooby-DooTM will be making their first ever appearances at M&T Bank Stadium and MetLife Stadium as part of the Monster Jam Path of Destruction summer events. 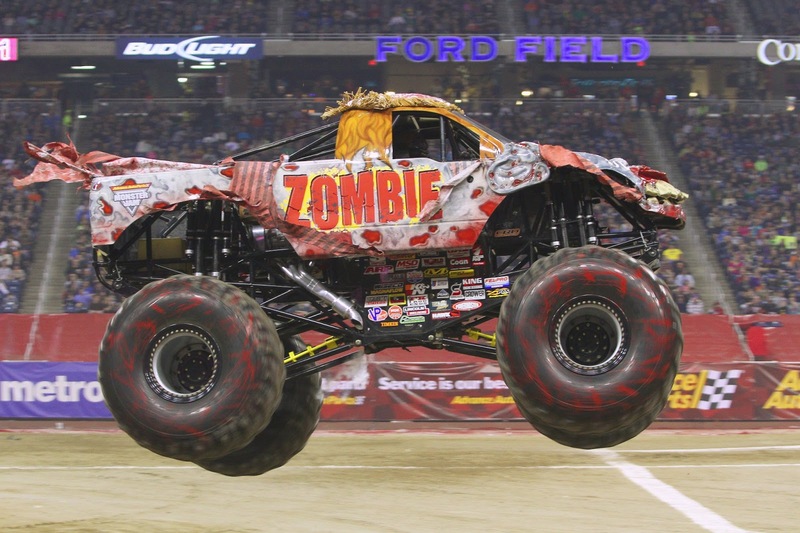 This year’s Monster Jam Path of Destruction events will also celebrate a decade of destruction with Max-D, one of the most decorated Monster Jam World Finals champion of all time. At the helm of Max-D is Tom Meents, who will be back to once again attempt a monstrous double back flip of Max-D at MetLife Stadium. More than 4,000 tons of dirt will be brought inside both iconic stadiums along with 50 crush cars, vans and buses to create the vast Monster Jam Path of Destruction racing track and freestyle course, only to be destroyed by these massive Monster Jam trucks. Monster Jam Path of Destruction has one of the most elite fields of Monster Jam trucks ever assembled, second only to the Advance Auto Parts Monster Jam World FinalsSM held in Las Vegas, NV. The fleet of 16 of the most popular Monster Jam trucks will battle against one another in racing and outrageous freestyle competitions with jumps, wheelies, donuts, cyclones and more! 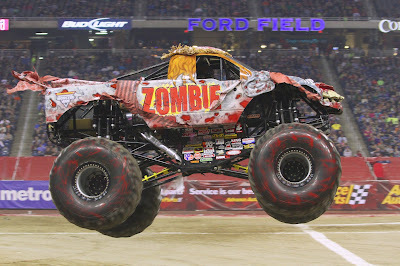 Visit www.MonsterJam.com or www.ticketmaster.com for ticket sales information. About Feld Motor Sports, Inc.
Feld Motor Sports, Inc. is the world leader in specialized arena and stadium-based motor sports entertainment. Feld Motor Sports, Inc. productions include Advance Auto Parts Monster Jam®, Monster Energy Supercross, Nuclear Cowboyz®, and AMSOIL Arenacross. Feld Motor Sports, Inc. is a division of Feld Entertainment, the world’s largest producer of live family entertainment. For more information on Feld Entertainment, visit www.feldentertainment.com. Party of 5 is so excited to be able to give away a Family 4 Pack of tickets to the June 15,2013 show! Had a family friend and his son go to Monster Jam... heard it was really fun!